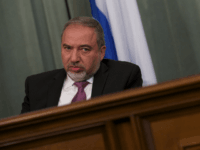 Legislation clearing the way for Israeli courts to sentence convicted Palestinian terrorists to death will be debated by lawmakers next week, Defence Minister Avigdor Lieberman said Tuesday while vowing to have it passed. Most Israeli men agree with US President Donald Trump’s recent criticism of the #MeToo movement that it has created “a very scary time for young men,” according to a new survey published on Tuesday. 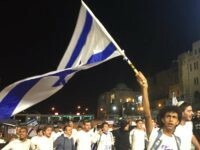 Two-thirds of Arab Israelis believe Israel has “no right” to define itself as the Jewish nation state, while a majority of Jewish Israelis (58 percent) say those who reject that definition of Israel should have their citizenship revoked, according to a new poll underlining deep divisions between the two communities. The bill in Israel’s Knesset to allow death sentences for terrorists won’t deter the Palestinians and resistance will continue, Palestinian officials have said in conversations with Breitbart Jerusalem. 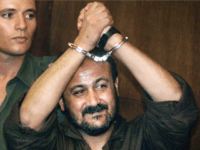 The Jerusalem Post reports: Some 70 percent of Israelis favor giving the death penalty to Palestinian terrorists who murdered Israelis, according to the monthly Peace Index that was released by the Israel Democracy Institute and Tel Aviv University Wednesday. 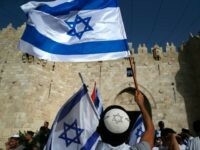 Nearly half of Jewish Israelis believe the political left is not loyal to Israel, and a majority of citizens maintain it is illegitimate to criticize the state during times of security instability, according to a poll published on Tuesday. 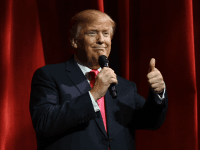 A new poll by the Independent Democracy Institute and Tel Aviv University reveals that Jewish Israelis prefer a Republican to be the next U.S. president — and that 61% say that Donald Trump is friendly to Israel. The poll also revealed that Israelis prefer former Secretary of State Hillary Clinton to Sen. Bernie Sanders (I-VT) by a wide margin, 40.5% to 16%. Sanders is Jewish, as he discussed in Sunday night’s Democratic debate in Michigan. 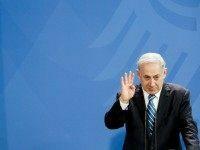 is friendly to Israel.